We know you'll love this	20cm copper lid	as much as we do. 775 customers found this review helpful. Did you? Yes, I did! A lid It's a lid. Like the mousseline it can not be dishwashed but apart from that it's only beatiful. I really cant see that lids differ a lot but it goes well with the product and I couldn't live without it. Absolutely stunning piece of cookware Someone obviously put a lot of thought into the design of the Pot au Feu, making it perfect for larger batches of soup, and stews etc. 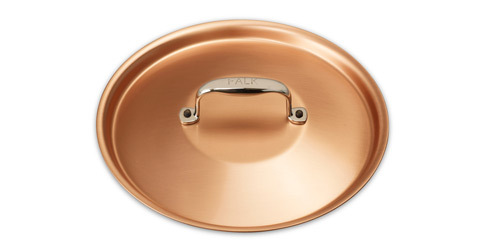 Out of all our Falk copper pots this is my favourite as it has so many uses. 762 customers found this review helpful. Did you? Yes, I did!